﻿ Louisiana Iris Farms welcomes you to their website. Thank you for visiting. You have entered the site of Louisiana Iris Farms, LLC. 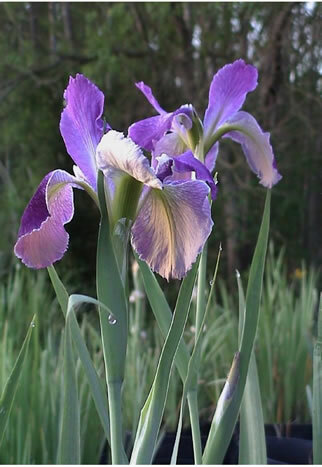 We are located in Lafayette, Louisiana, and we specialize in growing Louisiana Irises. Louisiana irises are a native American flower, and they grow well in all parts of the country. We sell the native plant; we sell by color; and we sell by registered variety. Browse our website, read about how easy they are to grow and then order for your garden or pond. In business since 1990. We ship to all states in U.S. and overseas where countries allow.